Matt Fitzgerald has had some challenging goals, but this may be the most challenging yet. 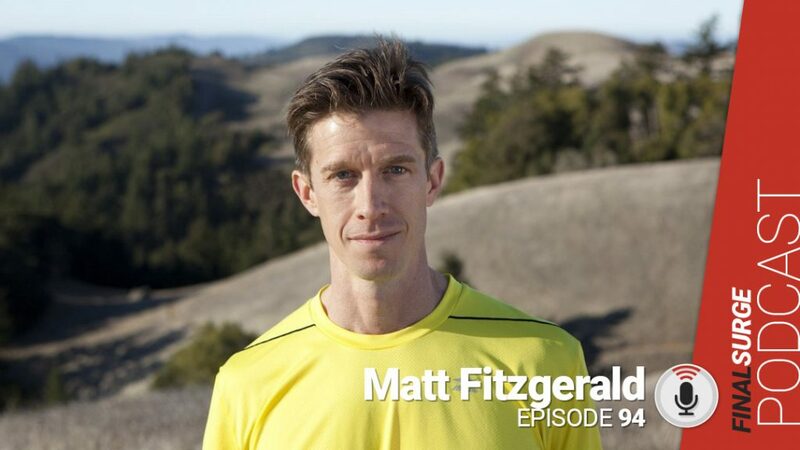 Today we talk to Matt Fitzgerald about his quest to qualify for Kona after not having done an Ironman in over a decade and also about his new book which is the 80/20 Triathlon. Last time we talked to you, you had just finished your Running Bum challenge and you were working on a book, when is that coming out? Your latest challenge is called Kona or Bust, can you tell us about that? You never did another Ironman? Your goal is to qualify for Kona, where are you going to need to be? How did you pick your race? Is your goal to qualify for Kona or are you looking to be competitive in Kona and compete? When you were doing the Running Bum challenge you built up to 90 miles a week, are you close to that still? When is the last time you really trained in the pool and on the bike? What was it like getting in the pool for the first time after a decade? The new book is your 80/20 Triathlon, what brought about this book? Is 80/20 still optimal in the pool where the impact on the body is less? You mentioned getting stuck in the grey zone rut, want to talk about a few ways that happen? One of the things I loved about this book is you give plans but you also it teaches you how to build plans. One you talk a lot about your zones. You talk about power meters, do you use a Stryd Power Meter? Have you found since you worked with the NAZ group that you do more strength/stretching?